Parents are responsible for transporting their children to and from galas, and looking after their children at galas. Parents should also ensure that children have adequate food and drinks and should generally support their children. In the event that a parent cannot accompany their child to a gala, they must appoint a responsible adult to act as chaperone for their child for the duration of the gala. This applies to all swimmers, regardless of age. 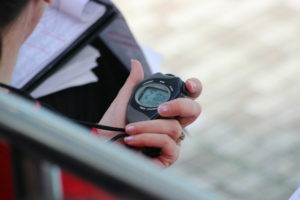 Chaperones should ensure that they have the swimmer’s home telephone number and that they are aware of any specific medical ailment or medicine which the swimmer under their care is on. Chaperones should ensure they have adequate insurance cover when transporting other swimmers and should not carry more than the permitted number of passengers in their car. All swimmers should wear a seatbelt. Chaperones should note that they may have dual gala official duties as it is per swimmer not based on how many parents are in attendance. Remember that you are representing your Club and that your behaviour should always reflect the Club’s good image and reputation. You should always follow the Coach and Team Manager’s instructions and let the Team Manager know when you are leaving the main group. You should try your best in all your events. Damage to property, unacceptable behaviour, refusal to do as instructed, unauthorised absences from the group or other forms of insubordination may result in suspension for the remainder of the gala and other possible punishment before being allowed to training sessions.